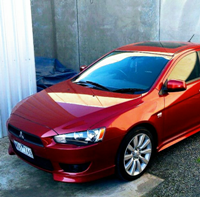 I am looking to replace the head unit on my 2007 Lancer VR with a 2018 Mitsubishi SDA head unit. However, I cannot find the wiring diagram for the same. Can any one here help me out with the same? I think the SDA system is much more involved than the MMCS that was brought out when the Lancer was updated. It may not wire into the older vehicles, check out the Pajero forums, as those guys have done a lot with the MMCS and other in car entertainment systems, and it is where I did a lot of my reading before installing the MMCS in my car, people have uploaded wiring diagrams and all sorts and there are links to plenty of info there.